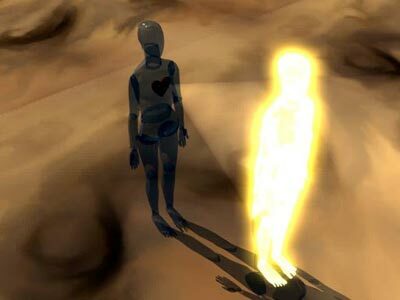 Question to Radhanath Swami: We are logical and rational beings but still why do we find it so tough to identify with the soul and stop identifying with the body? 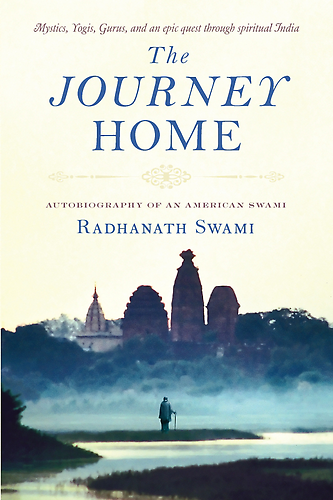 Radhanath Swami Answers: All of us are conditioned since time immemorial by our own activities and by our own choices of seeking temporary and flickering pleasures for this body. And therefore to evoke our consciousness back to the qualities of soul and build again a relationship with God will require a total transformation of our life. We have to completely recondition our entire thinking and our entire value system, which is not easy. If we want something valuable in life, we have to pay a price. If we want broken pieces of glass, we can pay anything for it but if we want a diamond, we have to pay a price. To recondition our life and rejuvenate our values we have to come out of common men and separate our way of thinking. 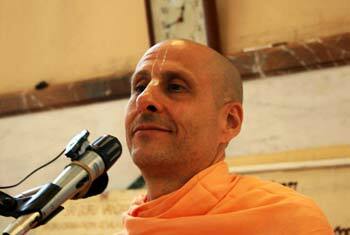 We have to accept God as the goal of life and chant the holy names. It is not very difficult but because of the social conditions around us it appears difficult. Nowadays environment around us is so contaminated by illusion, ignorance, greed, lust and pride that we get easily distracted. But if we associate with saintly persons, it becomes much easier to recondition ourselves. That is why association with saintly persons is the most important part of our spiritual development. Krishna is so kind that he has given us a simple process to perfect our lives. Krishna in the form of Lord Caitanya Mahaprabhu (Lord Krishna’s incarnation that appeared 500 years ago in West Bengal) appeared and freely gave the holy name, which is a way to eternal peace for everyone. You don’t have to pay anything for it. Just chant Hare Krishna.